Posted on January 15, 2019 . 10 Comments. Why does exercise make us healthier? One of the most important linkages may be due to improving our mitochondrial functioning. Healthier mitochondria may be the route to living better, healthier lives, while also being better in our sport or work. This article is the first in a series breaking down current research and how you can apply it to your goals. Here, we cover mitochondrial biogenesis (building more mitochondria) using different types of sprints and rest intervals, as well as long slow endurance types of exercise protocols. Fiorenza and colleagues (2018) published a study of how athletes can improve their mitochondrial functioning. Mitochondria are important as they convert carbohydrates, fat, and protein into ATP and other energy currencies. Mitochondrial functioning is related to many processes in aging and disease, as well as our ability to perform speed, power, and endurance types of exercise. Thus, by learning the mechanisms and optimizing this process, we can live better, healthier lives, while also being better in our sport or work. Before we get into the details of the study, let me define some terms. PGC-1α—Key regulator in making more mitochondria (mitochondrial biogenesis). AMPK, CaMKII, and p38 MAPK—These are all thought to be factors that bring about more PGC-1α. Adenosine Triphosphate (ATP)—ATP is our primary source of energy. Muscles use ATP to contract by decoupling one phosphate molecule, which creates adenosine diphosphate (ADP; or with two phosphates). When the system breaks down ADP we get one phosphate or adenosine monophosphate (AMP). The ratio of AMP:ATP is thought to activate the signaling for AMPK. Summary of terms—The faster we burn through energy, the more our AMP:ATP ratio changes, which signals AMPK and then PGC-1α. Sprints drain ATP quickly, while long-slow distance also drains ATP to increase mitochondria through this pathway. Participants were experienced cyclists with over 6 years of experience and higher than average VO2 max values (average was 61.9). The researchers wanted to use experienced athletes as unexperienced athletes can undergo many adaptive changes from any training program. The participants were split into three groups: repeated-sprint (RS), speed endurance (SE), or continuous exercise at moderate intensity (CM). Repeated Sprints (RS)—These participants sprinted for 5 seconds with an all-out effort. They were then allowed 30 seconds of recovery before the next sprint. They did 18 sprints in total. Thus, they did 90 seconds of total work at maximal effort. Speed Endurance (SE)—These participants did 20 second all-out sprints followed by 2 minutes of rest. They did 6 sprints in total. This group did 120 seconds of total work. Continuous Moderate Exercise (CM)—This group did 50 min of continuous exercise at a relative intensity corresponding to 70% of their VO2 max. This group did the more traditional long slow distance style of work. The researchers took blood samples and muscle biopsies before and after the exercise protocols. The RS and SE protocols are not high-intensity interval training as they had adequate rest in between sets for recovery. Traditional interval training shows a decline in performance over time. This research used repeat training where there is little to no decline over time as the rest allows for recovery. The study focused on muscular and changes in the blood. Gibala and colleagues (2006) have already shown the 20-second interval leads to V02 max changes. All groups had significant increases in signaling molecules of AMPK and p38 MAPK. The repeated sprint group and strength endurance groups saw improvement on CaMKII. 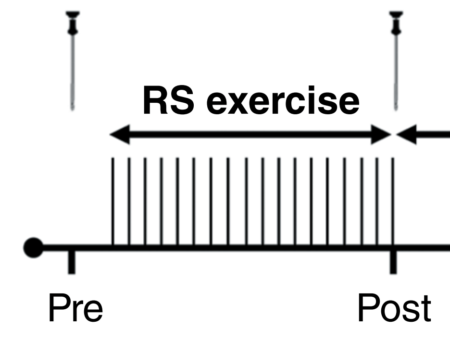 CaMKII affects PGC-1α but also affects the growth of type IIa muscle fibers (Rose et al. 2007). Thus, it makes sense that the 20-second intervals led to the highest amount of CaMKII. The main outcome we are interested in is the PGC-1α as it triggers mitochondrial biogenesis. 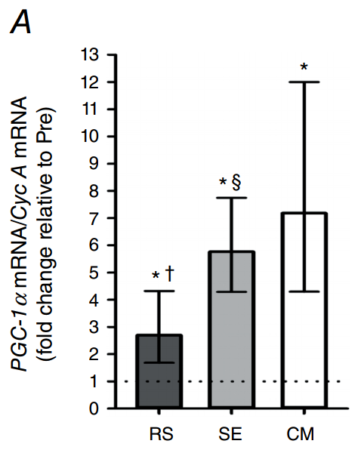 The 50-minute moderate exercise group showed the greatest improvement in PGC-1α. While the 20-second interval group had a greater increase over the 5-second sprint group. All groups significantly changed above where they started. Thus, they all had improvements in the signaling of mitochondrial biogenesis. Short sprints of 5-seconds, longer sprints of 20-seconds, and continuous long slow distance of 50 minutes all improved one of the major signaling molecules of mitochondrial biogenesis (PGC-1α). Athletes who cycled for 50 minutes had the greatest improvement. However, the amount of work completed indicates that shorter sprints might be more efficient (90 seconds of total work for the 5-second sprint group and 120 seconds total work for the 20-second sprint group). One missing component is work intervals between 5-seconds and 20-seconds. We know that ATP is depleted around 50% at around 8 seconds of maximal effort. At about 20 seconds, ATP is depleted to about 10% of its initial level. Between 5 seconds and 20 seconds might be a sweet spot for depleting ATP, increasing AMP, and henceforth increasing AMPK signaling and mitochondrial biogenesis. 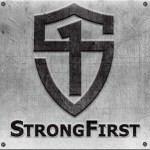 Luckily, StrongFirst has a new book coming soon that will fill the gap. Fiorenza, M., Gunnarsson, T. P., Hostrup, M., Iaia, F. M., Schena, F., Pilegaard, H., & Bangsbo, J. (2018). Metabolic stress-dependent regulation of the mitochondrial biogenic molecular response to high-intensity exercise in human skeletal muscle. The Journal of Physiology, 596(14), 2823–2840. Rose, A. J., Frøsig, C., Kiens, B., Wojtaszewski, J. F. P., & Richter, E. A. (2007). 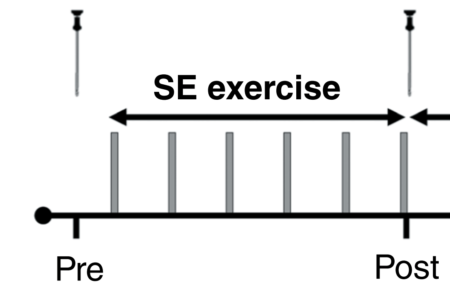 Effect of endurance exercise training on Ca2+ calmodulin-dependent protein kinase II expression and signaling in skeletal muscle of humans. The Journal of Physiology, 583(Pt 2), 785–795. Seems to confirm my thoughts on how walking for longer than an hour is absolutely fantastic for your health! I love the simplicity of the results, Craig. Working with top athletes, it seems to me that the sweet spot is actually to figuring out the right combination of slow steady work and interval training, as you said, that don t deplete power over time. Do you think similar results could be replicated by “sprinting” with similar lengths sets of heavy bag work as the modality? While I’m sure Craig can provide a better answer, it seems that (based on the research) heavy bag work could be a viable option. It may change some factors though since the study utilized an exercise that was primarily lower body driven (thus much larger muscle groups). Either way, it would be interesting to see your results! Ian, I think a heavy bag could provide similar results. The key is to keep an all-out effort with limited rest and not punching soft. Finding the right combination of power would be important. Pavel’s new book will say more about upper body movements as well. 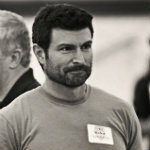 I am excited to see you in Virginia for All-Terrain Conditioning. Information about the book from Pavel will be coming soon. New book? Awesome! 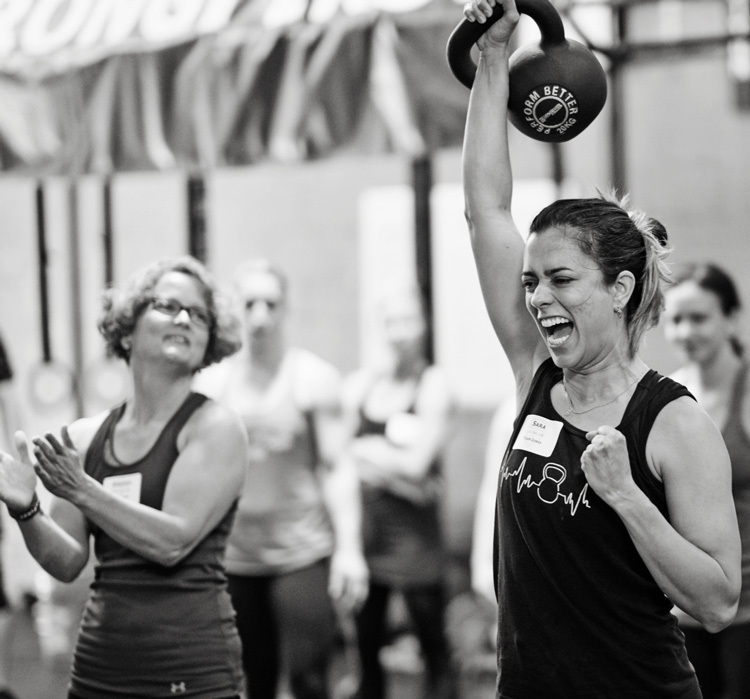 Health, strength, and Strong Endurance FTW! Thank you Craig.